Not an admonishment, but a healthy memory aid that acknowledges we've all been blessed in some way and should endeavor to pay that forward. Remember every helping hand, kindness shown or word of praise. Pass it along. 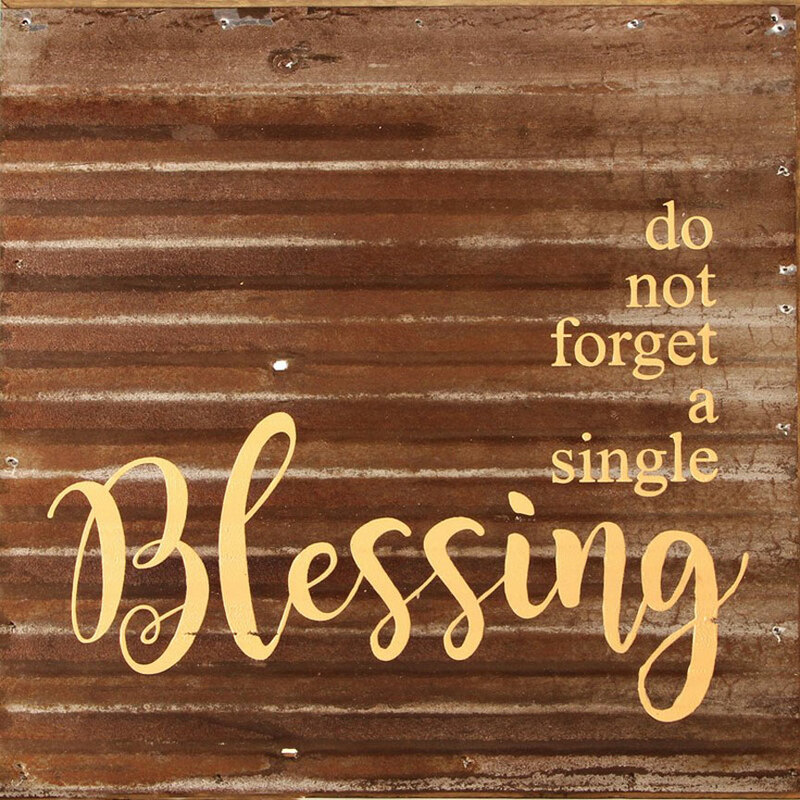 This reclaimed metal sign reads: Do not forget a single blessing.